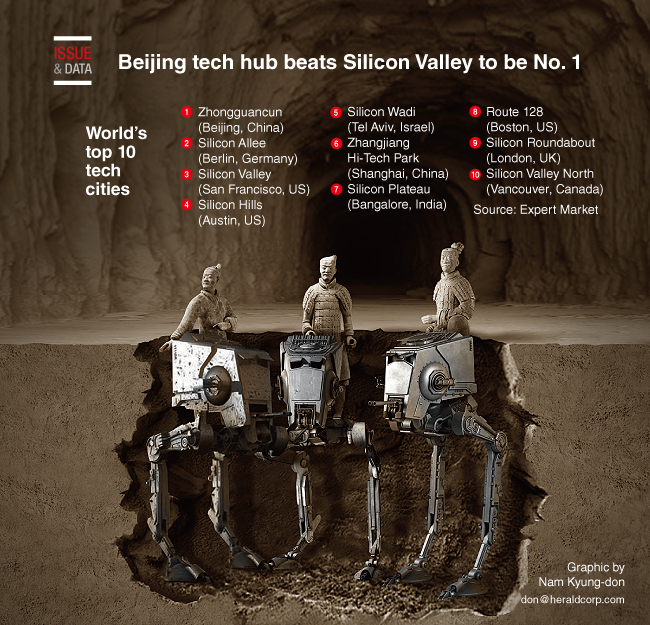 Beijing’s Zhongguancun has unseated San Francisco’s Silicon Valley as the top technology hub in the world, according to a report by the US-based business resource company Expert Market. Zhongguancun tech hub has become the top destination for the world’s brightest tech talents due to its favorable climate for early stage funding, good performance in startup output and the city’s affordable cost of living, revealed the Top Tech Cities in the World 2017 report. The ranking was based on factors such as the average salary for software engineers, how long it takes to get a business up and running, the cost of living and startup output. Berlin came in second, down from the top spot in 2016. San Francisco, where Silicon Valley is located, took the third spot. Shanghai grabbed sixth place as a new entrant to this year’s list, with a high growth index, relatively low monthly rent and a good startup experience.